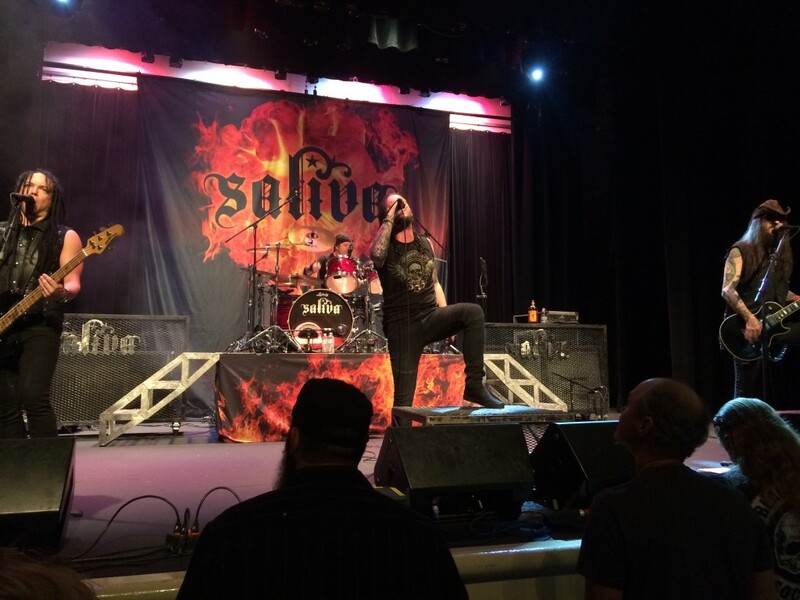 Saliva made a surprising appearance at the Newberry Opera House on Friday night. Remember, this venue is known for old country/folk/bluegrass music and Elvis impersonators. This made Saliva’s show even more unexpected. This was the first show of the season at the historic Newberry Opera House. The NOH said on their Facebook page, “We wanted to kick off the season with something so different and unexpected that would rock your world!” And that’s exactly what they did. Silva is anchored by original guitarist Wayne Swinny, longtime drummer Paul Crosby and newer additions vocalist Bobby Amaru and bassist Brad Stewart. Each member contributed to the magnificent display of rock at hand. Amaru said, “We’re gonna have some fun. This is a very beautiful place you have here.” Amaru kept the crowd engaged all night long. He asked them to put up their devil horns and middle fingers throughout the night. Saliva featured “Trust” from their newest album (2016) “Love, Lies &Therapy.” They slowed it down for “Rest In Pieces.” Amaru urged everyone to hold up the lights on their cell phones and soak the song in. Saliva must have set a decibel record at the Newberry Opera House when they cranked it up. The place was rocking! It is so nice to see the Newberry Opera House bring in a fresh act. Concerts like this can help shed the opera house of its blue haired image.